Millions of tourists from all over the world make the long trip to Australia every year. While the country has plenty to offer, from some of the world’s best SCUBA diving to unique sports that can draw in even the casual fan, the one thing that everyone traveling to the country wants to see is a kangaroo in its natural habitat, the Outback. From movies and television shows to zoos and children’s books, kangaroos come across uniquely as playful and tough. It is little wonder that they are the main attraction just about anywhere they go, be that in zoos or shows throughout the world or their native Australia. This stunning gold piece captures a pair of them bounding along at different stages of their leaps. It is a great, affordable option for starting a new gold collection. 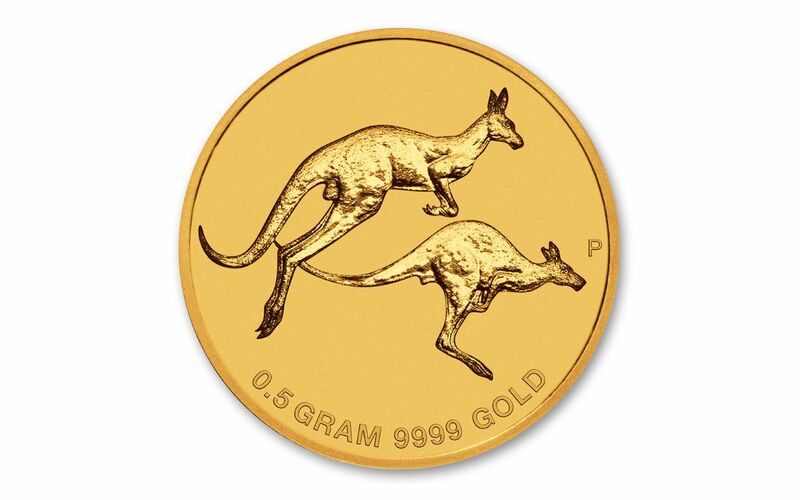 FOUR NINE FINE – Each 2018 Australia Gold Kangaroo was struck at the Perth Mint from 99.99% fine gold, which makes it as pure as any standard issue gold coin in the world. HONORING AN AUSTRALIAN ICON – Not surprisingly for a country with such rich wildlife, Australia frequently uses its coinage to celebrate its wildlife. 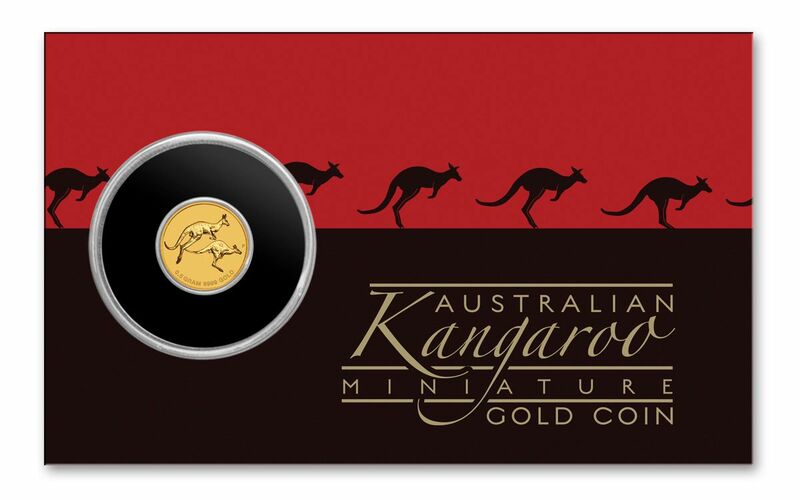 This smallest of the Australian Gold Kangaroos provides an affordable option for those who want a coin with the country’s most recognizable creature. CONVENIENT PACKAGING – If you have ever wanted to carry a gold coin with you without having to worry about losing it or having extra weight in your pocket from a heavier coin, this piece is the perfect solution. It comes in an acrylic holder from the Perth Mint. The colorful wallet-sized card makes it easy to carry this coin like you would a credit or debit card and look at a little piece from your favorite hobby anytime. 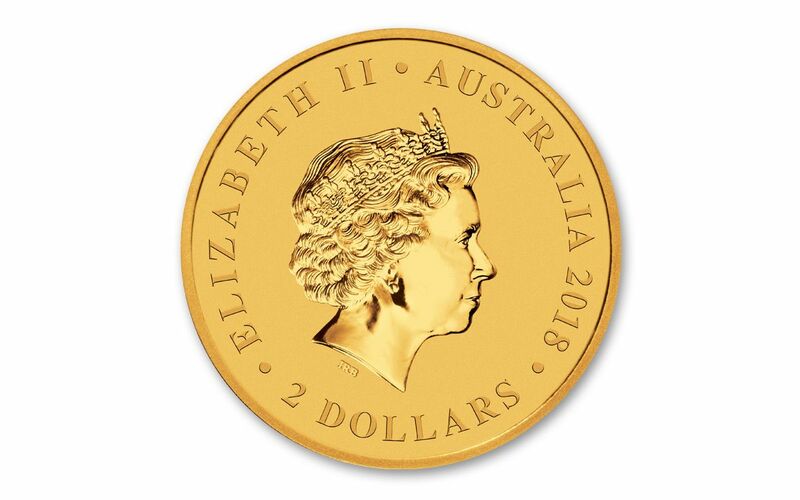 AUSTRALIAN LEGAL TENDER -- Each 2018 1/2-g Gold Kangaroo coin is $2 Australian legal tender, as noted under Ian Rank-Broadley’s portrait of Queen Elizabeth II on the obverse. Australia is home to some of the world’s most beautiful underwater scenery and is a haven for watersports. Its most populous city, Sydney, played host to the 2000 Summer Olympic Games. You don’t need to plan a trip to Australia to get a little piece of the country’s favorite animal thanks to this 1/2-g Gold Kangaroo. The coin perfectly captures the iconic creature in a pair of bounding positions, just as you might see them moving along the Outback. The lack of a background enables the holder’s eye to focus exclusively on the power and majesty of the featured animal. Like the kangaroo, this coin will quickly bound away, so order yours now at GovMint.com!